NEW YORK — Whether one represents the Palmetto State, comes from the California sunshine or is reared in the Florida humidity by way of Moscow (Russia, not Idaho), a professional American tennis player almost has to consider heading to New York City to participate in the US Open as the equivalent to an annual pilgrimage to Mecca. It is the event many of those athletes most wish to put their best foot forward, and it is also an opportunity for Uncle Sam’s Army to come out in full force, as hordes of fans walking around the Billie Jean King National Tennis Center turn a sleepy first-round match on an outer court into a pseudo Davis Cup tie full of rhythmic chants. There have been many instances over the decades where the pro-American crowd has been instrumental in helping “one of their own” pull out victories – usually against players not representing the Red, White and Blue – in matches that they otherwise would not have won any place else on the globe. 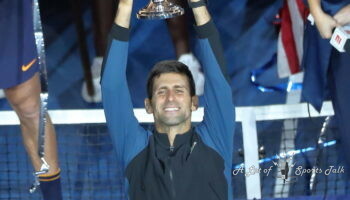 It is the home-field advantage that one can only dream of, and that dream can come true at least once every single year in the peak of one’s professional tennis career. What if those same players looked across the court when starting their Grand Slam journey in Queens and saw another American with those same aspirations? They may not just be playing someone they know personally, but they might be playing a regular practice partner. They may be playing a close friend. 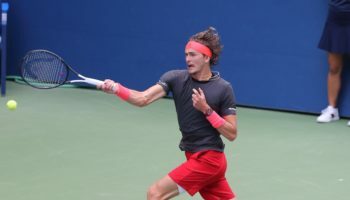 The American fans who come out to watch such a match may have to put away their unabashed clapping and resort to more of a golf clap after every point, not wanting to show too much partisanship one way or the other in what eventually will result in tennis fratricide. For that American tennis dream to come true at the US Open, it would be achieved by ending that same dream of another American. One very interesting quirk was evident as the 2017 women’s singles draw was revealed, as three first-round matches featured Americans – almost all of them looking to win more than two matches at the US Open for the first time in their careers – going up against fellow Yankees, making almost any advantage of playing on American soil moot. (As a comparison, last year’s US Open saw four first-round matches pitting Americans vs. fellow Americans combining the men’s and women’s draws, two on each.) One of those matches occurred on Wednesday, as Shelby Rogers, who grew up on the clay courts of Charleston, S.C., played her first-round match against Santa Barbara, Calif. native and former US Open junior champion Kayla Day on Court 6. Rogers, who admits to be a very emotional person, had to put those feelings aside of playing a friend while pulling out 6-2, 4-6, 6-4 victory over Day, who received a wild card to the tournament. If only Rogers knew then how much that same home crowd would come through for her in her second-round match on Court 10 against No. 25 seed Daria Gavrilova of Australia. As it played out, it became the longest women’s singles tennis match in the history of the US Open, with Rogers coming back from down 2-4 in the third set to pull out a historic 7-6 (6), 4-6, 7-6 (5) victory in three hours and 33 minutes. After Rogers hugged Gavrilova at the net after the match ended, she blew kisses to each side of the court that had spectator seating, with every person clapping and cheering her on, creating a cacophony of patriotic noise. A split second after blowing those kisses, she put her hands to her face to cover it. She then bent her knees and started crying. That could have been Kayla Day’s moment. Almost at the same time Rogers was playing in the first round on Wednesday, No. 20 seed CoCo Vandeweghe, born in New York City and now residing just north of San Diego, was locked in a first-round tussle with Alison Riske from the Steel City of Pittsburgh at the temporary Louis Armstrong Stadium. Dropping the first set in routine fashion, Vandeweghe showed her class in the final two sets and earned a 2-6, 6-3, 6-4 victory. Unlike almost all of the Americans in this year’s women’s singles draw sans Venus Williams, Vandeweghe has actually has had breakthroughs in her singles Grand Slam career, advancing to the quarterfinals of Wimbledon twice (2015, 2017) and, in 2016, making the semifinals of the Australian Open and defeating now two-time Grand Slam champion Garbiñe Muguruza 6-4, 6-0 on her way to the final four in Melbourne. That breakthrough has not come in the city of her birth, however, as Vandeweghe had never won more than one match in each of her eight previous entries into the main draw at the US Open. In her first ever US Open in 2008, she was 16 years old and played – and lost – to then-world No. 2 Jelena Jankovic in straight sets. 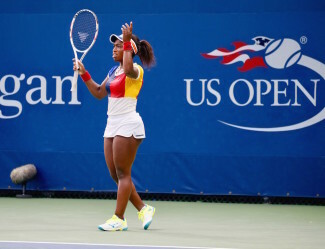 Her next seven appearances at the US Open saw her go a combined 4-7. When asked whether she noticed that there were a number of match-ups featuring Americans going up against each other in the draw, Vandeweghe couldn’t help but notice. Alison Riske could have indeed said the same about CoCo Vandeweghe in the post-match press conference…if she had won. 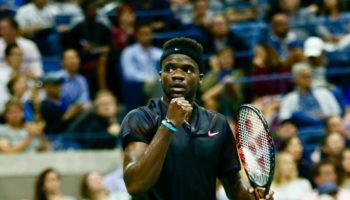 As bittersweet as being an American upstart and eliminating a fellow American at the US Open is, that feeling is almost undoubtedly twofold, or even more, if that player’s best-ever run in a major starts with two wins against compatriots in the glitz and glamour that New York City provides. Meet 18-year-old Sofia Kenin. 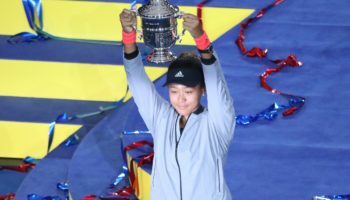 Receiving her invitation to this year’s US Open with a wild card, Kenin, who was born in Moscow and moved with her family to the United States when she was a little over three years old, had posted the same number of wins on the WTA Tour in 2017 going into this week as the authors of this story. (If you need to know the specific number, it’s zero.) Furthermore, the USTA Girls 18s champion (she won that when she was 16) had played just one main-level WTA Tour match before this past Monday – a loss in Charleston, S.C. to fellow American Bethanie Mattek-Sands back in April. Like her idol, five-time Grand Slam champion Maria Sharapova, Kenin spent her formative tennis years in Florida, training at the Pro World Tennis Academy in Delray Beach. Kenin’s appearance this week is her first ever in any Grand Slam main draw, and she marked her debut with a memorable straight-set win against a ranked player: Ohio-born No. 32 seed Lauren Davis. Similar to Rogers, Kenin’s second-round match came on Court 10 and also provided an unbelievable amount of drama. Against another Florida resident, Sachia Vickery, Kenin saved three match points in the third set, then, about 20 minutes afterward, posted a 7-0 whitewash in the tiebreak to defeat Vickery 6-3, 4-6, 7-6 (0). Kenin’s reward for winning her first two Grand Slam matches in her career? Playing her idol, Maria Sharapova, on Arthur Ashe Stadium on Friday night. For about an hour, Kenin thoroughly belonged on the same stage as the living legend, and when the youngster broke Sharapova’s serve to square the match at 4-4 in the first set, the crowd erupted. Kenin could dare to dream that she might actually be able to morph, just for one night, into Jimmy Connors of 1991, using the overwhelming fan support to make a magical run on the main show court of the US Open. All dreams must come to an end, however, and Kenin eventually did succumb to Sharapova’s power and experience, 7-5, 6-2. Kenin was able to speak to her idol – in Russian – after the match in the locker room, and Sharapova, aware of the fact that Kenin idolized her as an adolescent before tonight’s match started, was more than complimentary of her opponent when it came to assessing her play. Complimentary words from a surefire future tennis Hall of Famer about a young American upstart. Those words could have been spoken by Sharapova about Sachia Vickery on Friday night. Or Lauren Davis. 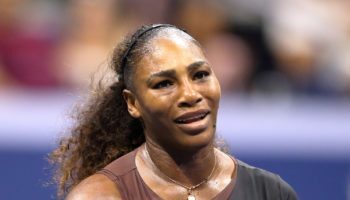 Despite the dog eat dog nature of this year’s US Open concerning American women, one bright spot about it has been the stage in which American tennis, specifically on the women’s side, has been able to showcase its strength in numbers. The Williams sisters need no rundown of their innumerable credentials, while current top-20 player Madison Keys and one-time top-20 player Sloane Stephens have both continued to prove that a run to a Grand Slam title may not be too far away in their futures. That is a sentiment shared with the rest of the group of American players, who one day might very well perform at their “home slam” like Rogers, Vandeweghe and Kenin have performed so far in 2017. Even if other Americans just happen to stand in their way.